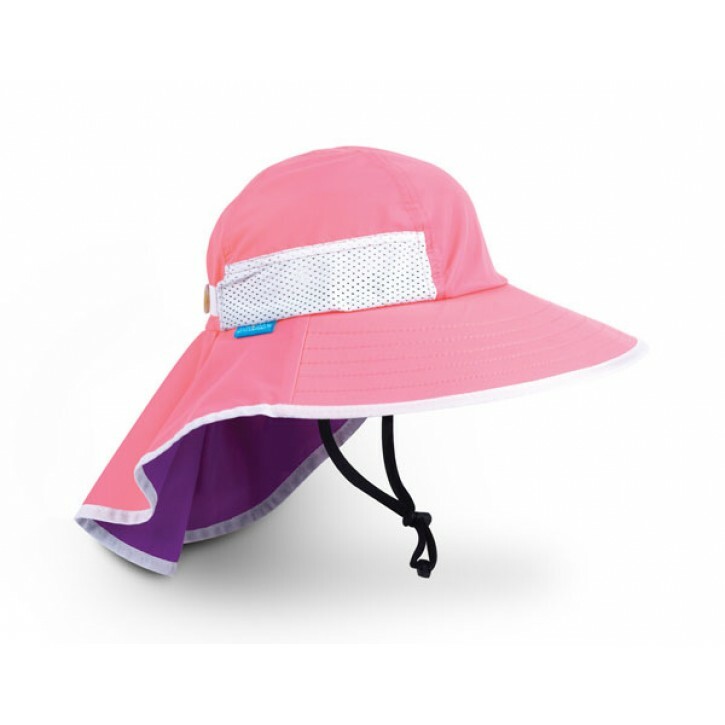 Sun-smart fabric and hat design keep natural-born adventurers safe and happy all the live-long day. Playproof details like a breakaway chinstrap, customizable sizing band, floatable brim, and stain resistance ensure that this hat lasts for summers to come. 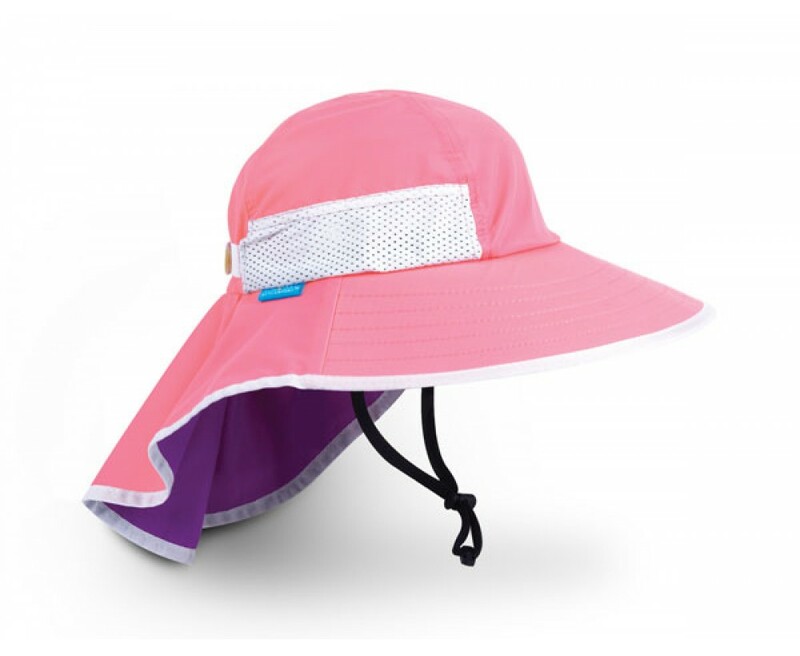 The back veil not only protects little necks from rays, but also allows the hat to sit comfortably in a stroller.